England 167 and 1-234 (Alastair Cook 116, Nick Compton 102*, Trent Boult 1-34) trails New Zealand 9-460 declared (Hamish Rutherford 171, Brendon McCullum 74, James Anderson 4-137) by 59 runs. 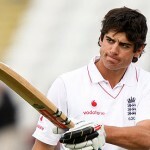 The English skipper, Alastair Cook, along with Nick Compton smashed centuries and brought their team back in the game against New Zealand in the 1st Test. The first innings of England was folded back cheaply for 167 but they came back strongly in the match by hammering 234 runs for the loss of one mere wicket in their second innings. New Zealand piled up 460 in 116.4 overs and declared their first innings with one wicket still in hand. The fourth day of the first Test came to an end on March 9, 2013, at University Oval, Dunedin. Earlier, the Black Caps went into day four at 7-402 in 108 overs whereas Brendon McCullum and Bruce Martin were unbeaten for 44 and 17 runs respectively. McCullum dispatched his 26th Test fifty on the third ball of the 110th over with a huge six and added 13 runs in the following over with 2 big sixes. The batsmen continued the onslaught and gathered 13 runs in the 112th over with 3 fours as Brendon McCullum was caught by James Anderson at midwicket off Stuart Broad for 74 from just 59 deliveries with 3 lofty sixes and 9 fours. 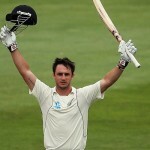 Martin scored 41 as McCullum declared the innings at 460 for the loss of nine wickets in 116.4 overs. James Anderson remained the top bowler with four wickets, Stuart Broad claimed three whereas Steven Finn and Monty Panesar shared one wicket each. England started their second innings after a deficit of 293 runs as Alastair Cook and Nick Compton scored 25 runs in the first 10 overs. They kept the score board moving without playing any rash shots as Compton survived a review off Tim Southee in the 16th over. The visitors reached 58 without any loss after playing 22 overs when lunch break was taken. Cook hit 2 fours in the 27th over and Compton got the same result in the next over. 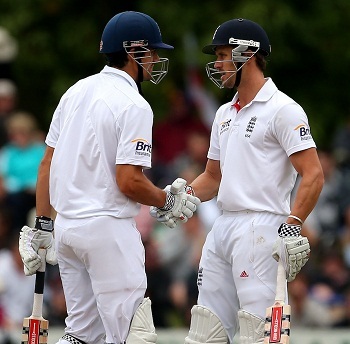 Cook got his fifty in the 33rd over and the first hundred of the innings also appeared in the same over. The run rate was checked by the Kiwi bowlers as the tourists added just 10 runs in the next 10 overs. Compton attained his second Test half century in the 45th over as Cook secured his end while negotiating the rival bowling nicely. McCullum utilised all five bowlers but remained unsuccessful in breaking the partnership as England managed 139 runs in 54 overs until tea break was called by the umpires. The duo kept on consolidating with regular boundaries and the 200 of the partnership was posted on board in the 73rd over as Alastair Cook thrashed his 24th Test century in the same over with a couple of fours. The new ball was taken in the 81st over and Cook became the first victim when he was caught behind by the wicketkeeper BJ Watling off Trent Boult for 116 scored from 252 deliveries comprising 15 fours. Steven Finn walked in as a night watchman as Nick Compton blasted his maiden Test hundred in the 86th over. He was still at the crease for 102 and Finn yet to open his account as the visitors scored 234 runs for the loss of just one wicket. England requires another 59 runs to match the first innings total of New Zealand but the tourists can manage to draw the game with plenty of batting still to follow and just one day remaining in the Test.